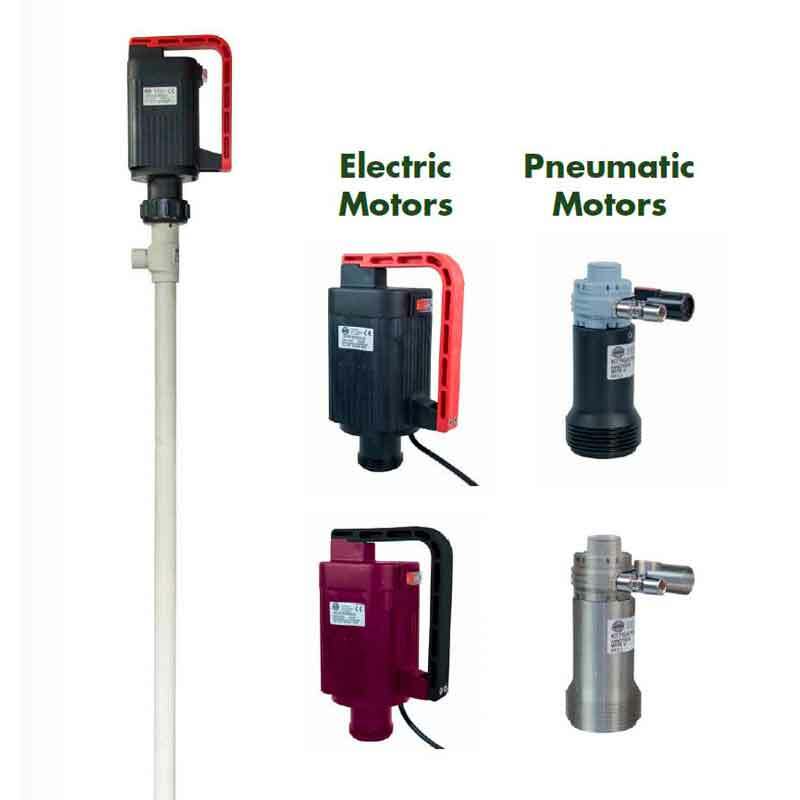 Our range of Drum & Barrel pumps are designed to resist many types of corrosive liquids. The special design of the CBP range ensures that spillages are collected back in the drum container. Commonly known as drum emptying pumps, stick pumps or barrel pumps – The Crest Pumps range of Drum pumps set the industry standard for combining efficiency and reliability when processing chemicals, viscous liquids or sticky media from a barrel. This therefore ensures keeping operating costs to a minimum. Available with electric or pneumatic motors, these pumps have an open impeller that allows for continuous pumping of corrosive liquids with a high viscosity of up to 600cP with a pneumatic motor and up to 900cP. The electric drive pumps are also fitted with a safety cut-out switch that prevents accidental restart after a power outage. The CBP range of drum and barrel pumps are most efficient when the shaft is positioned vertically and the pump immersed in the drum. The impeller is integrated within the shaft body and coupled to the motor which makes it rotate, thus creating centrifugal force.